Fall cocktails deliver a whole new depth of flavor. 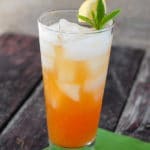 Pick from four delicious cocktail recipes from well-known Vail Colorado restaurants! The ‘shoulder seasons’ (fall and spring) between the main vacation times are often a perfect time for a sojourn in the mountains. Especially at ski-area centric locations. Hotel deals can be at their best and the throngs of usual visitors are at a low. Most warm weather activities still abound; with cooler temperatures and beautiful fall foliage as a backdrop making for a sublime vacation. Vail, Colorado is no exception. 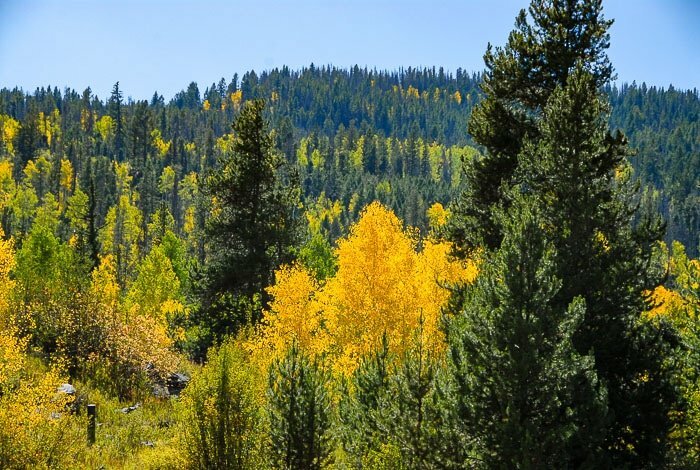 Just an easy 1 hour 40 minute drive from Denver up I-70 West, the Vail area shines in the autumn. 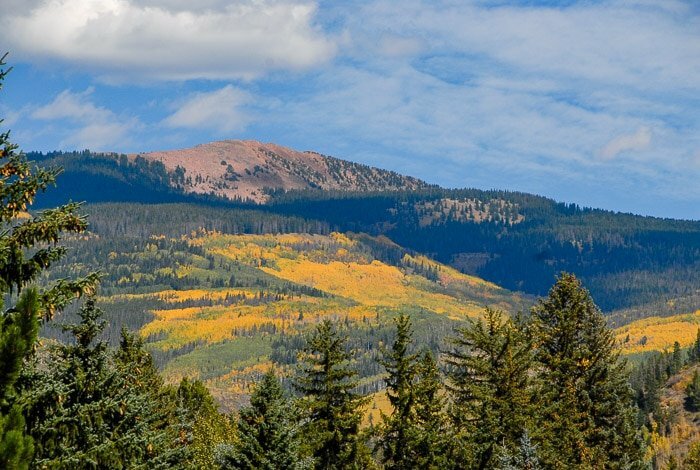 The surrounding mountains offer a dense concentration of fall color. Daytime temperatures in the low 70’s, allow ski slope mountain biking to rage on. 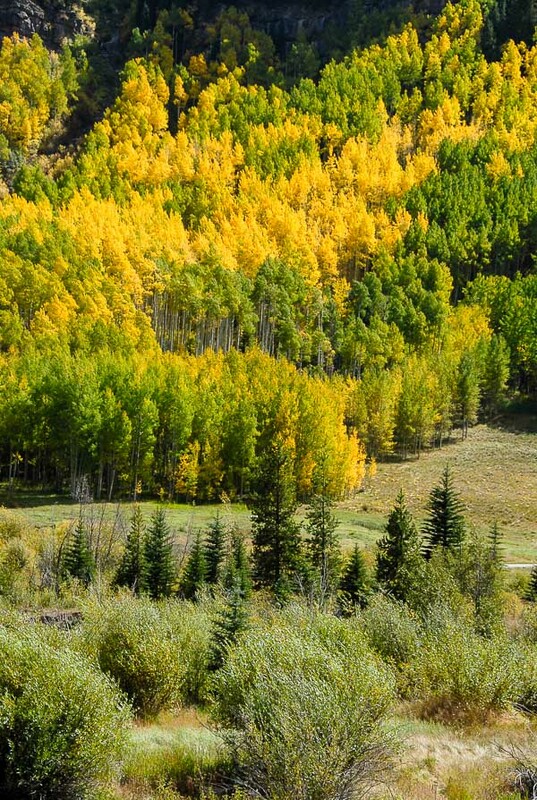 The temptation for a long leaf-peeping trail ride with Vail Stables is in its prime. A wealth of touring and activities are only the start when visiting Vail. The vibrant food scene offers dining in all genres, featuring a taste of the local produce, meat, and distillers. 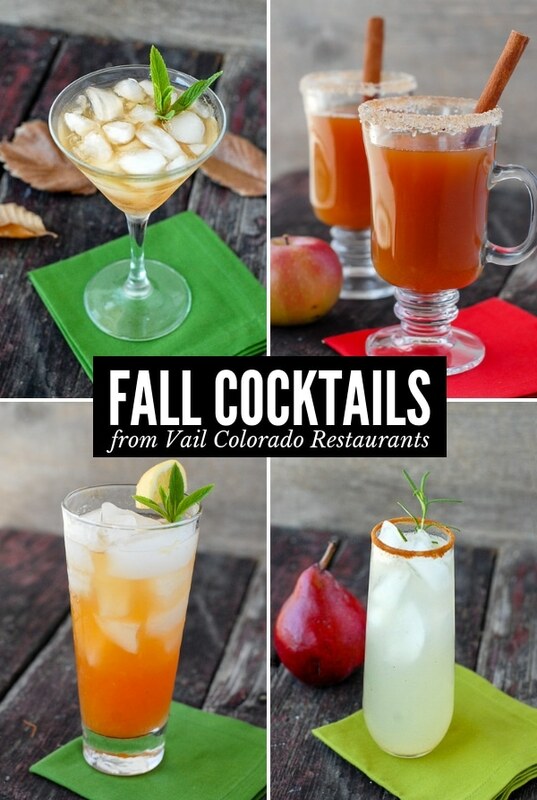 Four of my favorite Vail Colorado restaurants are sharing fall cocktails for a taste of the Colorado autumn in a glass! As the seasons change, so do ingredients and flavors. Fall brings deeper flavors like pear, apple, warming ginger and more herbs with stronger flavors. In Colorado, the peach season delivers beautiful juicy fruit in the late summer and early fall. Those more typically summer flavors creep into fall cocktails too. Unique simple syrups (a sugar and water mixture boiled to form a light syrup to sweeten cocktails) with bold flavors often give fall cocktails a special flavor in addition to the liquor. 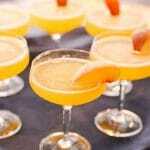 One my personal favorites is the with Homemade Cinnamon Simple Syrup used in this Persimmon Margaritas. Fall cocktails don’t differ from other seasonal cocktails in terms of the supplies needed. There are some basic bar tools that make home mixology easy! These fall cocktails note particular brand ingredients used by the bartender at the Vail Colorado restaurants sharing the recipe. Feel free to change up to use your own favorite brand or a substitute if you can’t find the cited ingredient. 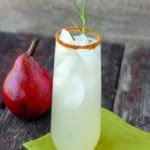 For DIY’ers out there you can make your own Homemade Spiced Pear Vodka (an ingredient in the Ginger Pear Snap cocktail). It’s delicious and perfect for holiday gift giving. I also have a recipe for homemade Homemade Ginger-Infused Vodka that could be used in that same cocktail (instead of the ginger liqueur) to make it a little less sweet. Vail Colorado is really known for the skiing, being long established as a winter playground for the rich and famous. What many do not know is that it’s a very relaxed place to visit in all seasons. AND that the food scene is on point. The chefs of the restaurants featuring cocktails today all integrate with the local produce community to source the best ingredients possible (local or not). These fall cocktails exemplify this with locally sourced season ingredients. I had the distinct pleasure of making all the fall cocktails to photograph them and can unequivocally say they are all a smashing success. Each with distinct notes of fall, there is a new favorite here for every palate. Learn more about Sweet Basil, Elway’s, Matsuhisa and Larkspur restaurants in A Culinary Adventure Weekend in Vail CO and Destination Vail CO: Colorado Peach Bellinis (recipe) and Elway’s Restaurant . 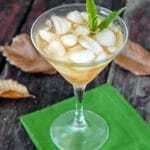 If you’ve tried any of these four Fall Cocktail recipes from Vail Colorado Restaurants please RATE THE RECIPE below! 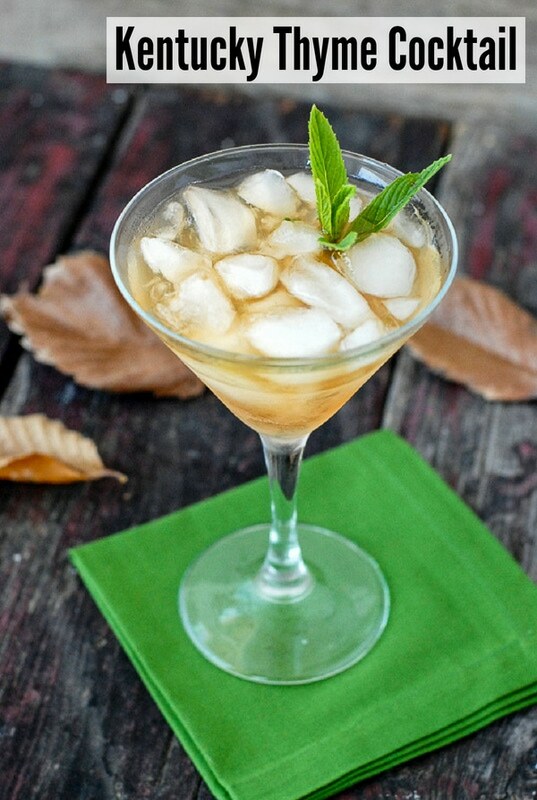 Flavors of light pear and ginger make this cocktail a fall favorite. From Larkspur restaurant in Vail Colorado. Rim a Collins or Highball glass with gingerbread spice. In a shaker mix vodka, ginger liqueur, lemon juice, fresh ginger, and rosemary with ice. Shake vigorously. Fill glass with ice, strain shaker into glass, top with bitters and pear soda. Garnish with dehydrated pear chip, pear slice and/or rosemary sprig. *the original recipe called for Rocky Mountain Soda company Pear Soda. However at the republication of the recipe I could not locate this flavor of their soda. Any sparkling pear drink (non-alcoholic) may be used. 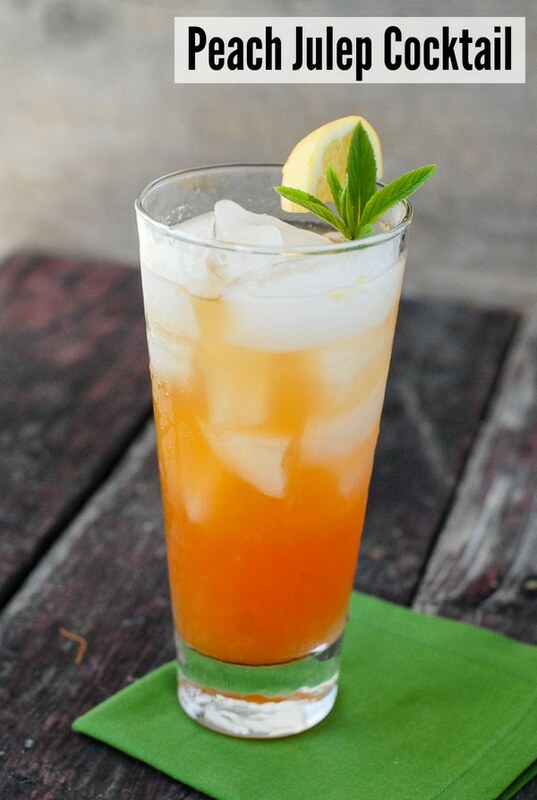 Flavors of peach and mint make this a refreshing cocktail for any season. From Matsuhisa restaurant in Vail Colorado. Muddle peach and agave in a mixing glass. When peach is completely muddled, add mint. Bruise mint with muddler. Add lemon juice, bourbon, bitters and ice; shake vigorously. Strain twice into a highball glass with fresh ice. Garnish with mint sprig. *Palisades is the peach growing region of Colorado. 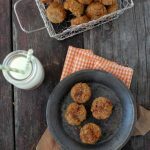 Any ripe peach may be used for this recipe. Spiked hot apple cider never tasted so good! Recipe from Elway's restaurant in Vail Colorado. 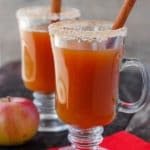 Heat apple cider with mulling spices over low heat for 1 hour. Rim a large brandy snifter with juice of a sliced orange; dip into a shallow glass of pumpkin spice and sugar (1 part pumpkin spice to 5 parts sugar; or to your taste). Add hot cider and apple schnapps or rum. Garnish with cinnamon stick. *Big B's is a Colorado-local brand of fresh apple cider. Any apple cider may be used; fresh preferred. Larger amounts of apple cider and mulling spices may be simmered and stored in the refridgerator for additional cocktails. Bourbon, lavender-thyme simple syrup and rum make this an unforgettable cocktail. 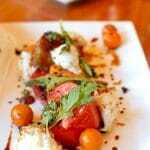 Recipe from Sweet Basil restaurant in Vail Colorado. Bring all ingredients to a boil slowly and reduce heat to simmer for 5 minutes. Let cool and strain. Place mint leaves, thyme-lavender syrup, water and bitters in a mixing glass; muddle. Add bourbon and rum with ice; shake lightly and strain into a cocktail glass with fresh ice. *Note on Thyme Lavender Syrup volume: this recipe makes much more than needed for one cocktail above. If you want a larger batch, chill, sealed, in the refridgerator for additional cocktails. Smaller batch: I reduced the ingredients to ¼ of this recipe and it was plenty for a few cocktails. Need ideas for a fall jaunt? There loads of fall activities, in addition to the regular opportunities of hiking, cruiser biking, mountain biking down the mountain after a gondola ride and more. 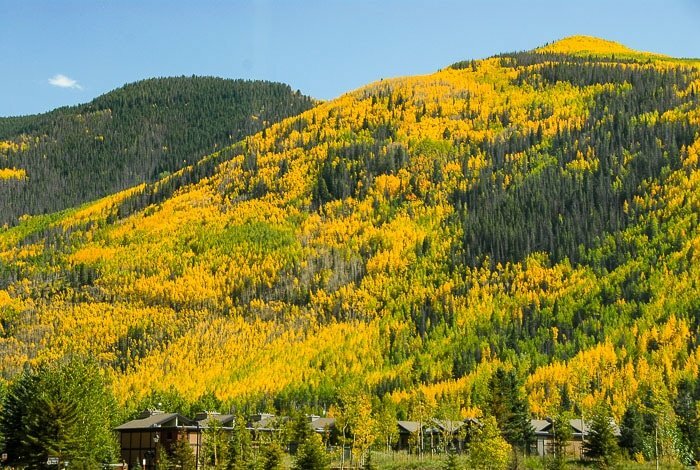 Fall is one of the most beautiful times of year in my book and Vail opens its fall arms with visual splendor. For information on what’s happening in Vail, visit www.Vail.com. If you’ve tried these Fall Cocktails please RATE THE RECIPEs below! Wow, this AZ girl is SO jealous of your version of fall! At least I have these yummy fall cocktails so I can pretend it feels like fall here. Delish! This is a great list of fall drinks! I’ve never had a pear cocktail before, but it sounds yummy. These sound like some fun Fall cocktails. My favorite is Kentucky Thyme Cocktail! Definitely must try! So fun – love all the fall colors and these cocktails are perfect! 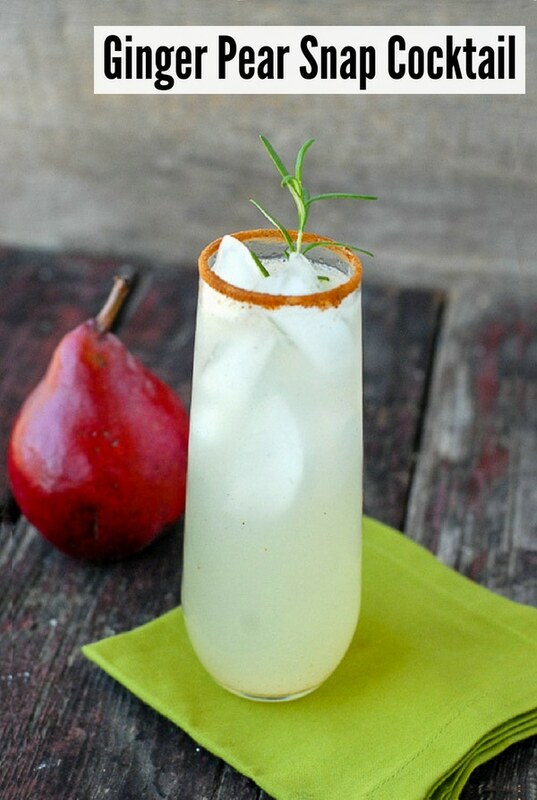 I loooove everything about the Ginger Pear Snap cocktail – especially the sparkling pear juice. Must be such a sweet cocktail and so delicious! Such beautiful scenery and those drink are gorgeous! Oh wow! These drinks sound fabulous! I definitely pinned this. 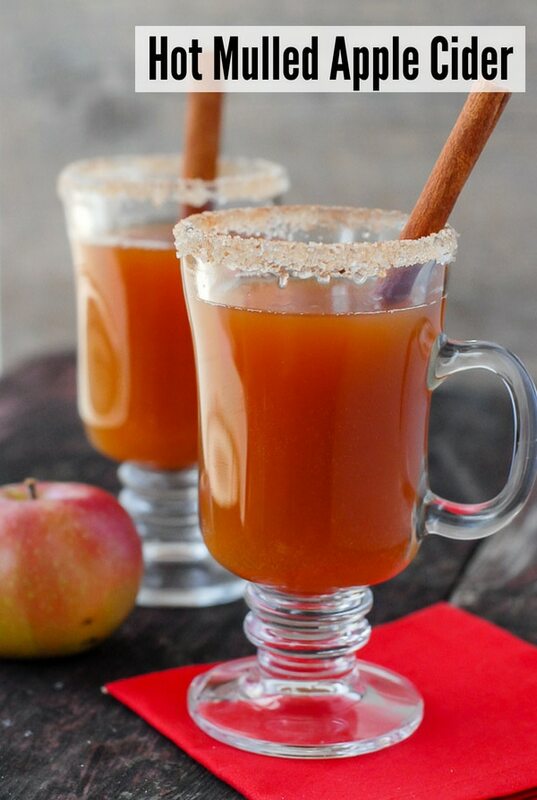 I love fall festive drinks I would like to try them all. That Hot Mulled Cider is exactly what I would want to enjoy! 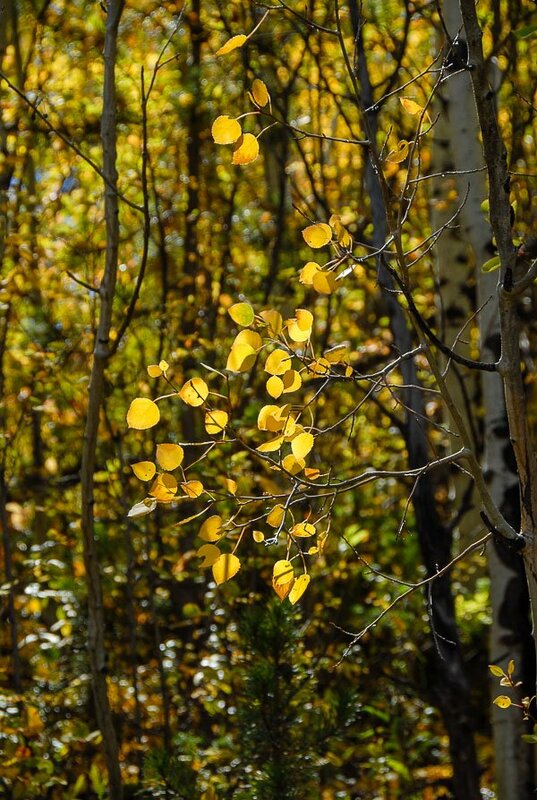 I love how Colorado also has changing leaves like us here in MA. Definitely giving each of these a try! Your photos are spectacular! These all look so good but the Hot Mulled Cider is my fav! That’s a good one! Magically our temperatures have dropped overnight from the 90’s to gray and cloudy 60’s. Might have to make this one myself today! These all are exactly what a night in needs to get in the mood for Fall. I especially love the Ginger Pear Snap cocktail! I can’t wait to try every single one! One of these and that view? Heavenly! 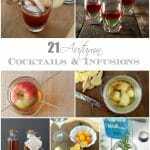 What a great round up of cocktails for all the upcoming holiday entertaining! Thanks for sharing. These are so creative! I really love the Kentucky Thyme cocktail. Those flavors just sound so perfect together. I have to try them all. The flavors of these cocktails are so classicly fall. I can see my friends and I sitting on the back deck with these and watching the leaves fall. I love those autumn pictures 😀 The photographs look beautiful! but cant say on the drinks much coz we don’t have alcohol! looks beautiful though. It is such a beautiful time of year here MJ. I’m a bit lower in Boulder (5500 feet high from sea level) so our colors have only begun but the mountains were in full blaze! I’m not sure about the trees you have; do their leaves turn in the fall too? Thanks for visiting! That ginger pear snap may be the most beautiful drink I’ve eve seen. We’re heading up Thursday to our yearly Estes Trip. Looks like those Fall colors won’t disappoint. It was gorgeous last weekend Lea Ann. One of those weekends that reminds us clearly why we live here! I’m sure you’ll have a splendid weekend yourself. Look forward to hearing more about it!